For the naïve car users, the car engines look like a bundle of difficult things put together. But then there are car enthusiasts who aren’t just satisfied with a fun drive, they have a keen interest in knowing things under the hood. They might be knowing how the gasoline and diesel engines differ from each other and where they look similar. For us both the engines run on their respective kind of fuel, start with making tiny ignitions and are capable of moving the cars till we ask them to stop. But in reality, both these engines are made with different strategies and so they are different in many senses, even if they apparently share the same look. Here we would concentrate more on the diesel engine, try to find out ways in which we can henceforth identify such engines with ease. To gather some authentic knowledge on the same we dropped at the service center of the Chevrolet dealer San Bernardino and there we came to know about facts that frankly speaking we didn’t have any idea till then. A diesel engine works on a comparatively simpler and more direct approach than its counterpart when it comes to the internal combustion. The design of any diesel engine will involve the action of compressing the air almost 2-1/2 times higher than that of a gasoline engine. This high compression causes more heat and hence delivers the fuel through a high-pressure fuel injection system directly to the compressed air. This heat, which might be as high as 1,000 degrees Fahrenheit will, in turn, cause the fuel-air mixture to start exploding on its own. A gasoline engine, on the other hand, will need to have spark plugs for each cylinder for this entire process of ignition. 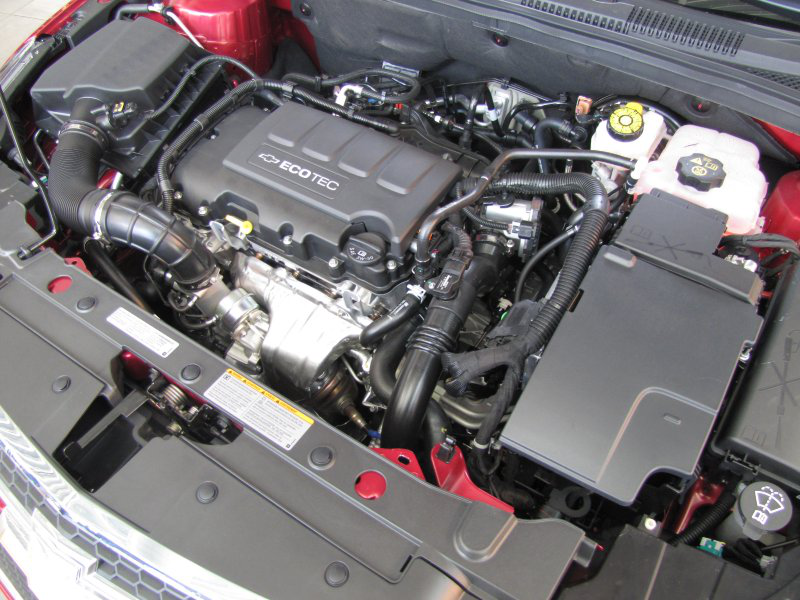 You must have heard several times that a diesel engine earns better fuel economy in comparison to a gasoline engine. This is all because of the heat compression that makes the fuel burn happen more easily. This is indicative of the fact that in a diesel engine more energy gets released from every drop of fuel, which isn’t the case in the gasoline engines. Moreover, in a diesel engine, the lesser power you try to generate, the lesser fuel it will ask from you. Diesel fuel works in a different way from that of gasoline. Though less refined, diesel is consistent with a higher density of energy than the gasoline that says the diesel engine generates more energy per molecule. That is the primary reason behind its efficiency where the mpg in diesel counts much more than the count of mpg on gasoline, for the fuel efficiency ratio. At the Chevrolet San Bernardino, the sales team suggests that if you are on a lookout to get the most fuel efficient car, then nothing can be better than a diesel vehicle. Apart from the fuel efficiency, it earns back to you, the fuel cost is much lesser than the gasoline.